We knew when we were designing it that the Pi would make a great bit of digital/real-world meccano. We hoped we’d see a lot of projects we hadn’t considered ourselves being made with it. We’re never so surprised by what people do with it as we are by some of the photography projects we see. Using a €15 solenoid valve, some Python and a Raspberry Pi to trigger the valve and the camera shutter at the same time, Dave has built a rig for taking water droplet photographs. Click the image to visit Dave’s site for instructions. I remember the first time I saw droplet photographs as a little girl back in the early 80s, in one of my grandma’s National Geographic Magazines. Back then, this sort of technique was completely out of the reach of the amateur photographer. Now, it’s actually very cheap to set up yourself, and surprisingly simple. Dave has documented everything he did to make the setup; it’s very approachable, and even if you’re a photographer with little electronics experience, you should be able to make your own. Visit Dave’s site for full and easy-to-follow instructions – and let us know how you got on! The next challenge is to use the GPU to produce fluid dynamics physics simulations of these images and, if there’s enough horsepower, animated sequences. A side by side comparison would look awesome! So not only do I get the shutter circuit, I get the wireless options too… brilliant! Another example of how a technology, once difficult, can become straightforward with new devices and capabilities. The pioneer of using the stroboscope for stop-motion photography was Harold Edgerton at MIT, see http://en.wikipedia.org/wiki/Harold_Eugene_Edgerton. Many of the classic photographs that Liz remembers probably came from his work. As a detail, I presume that Dave is working on the basis that the event being photographed can be readily repeated. 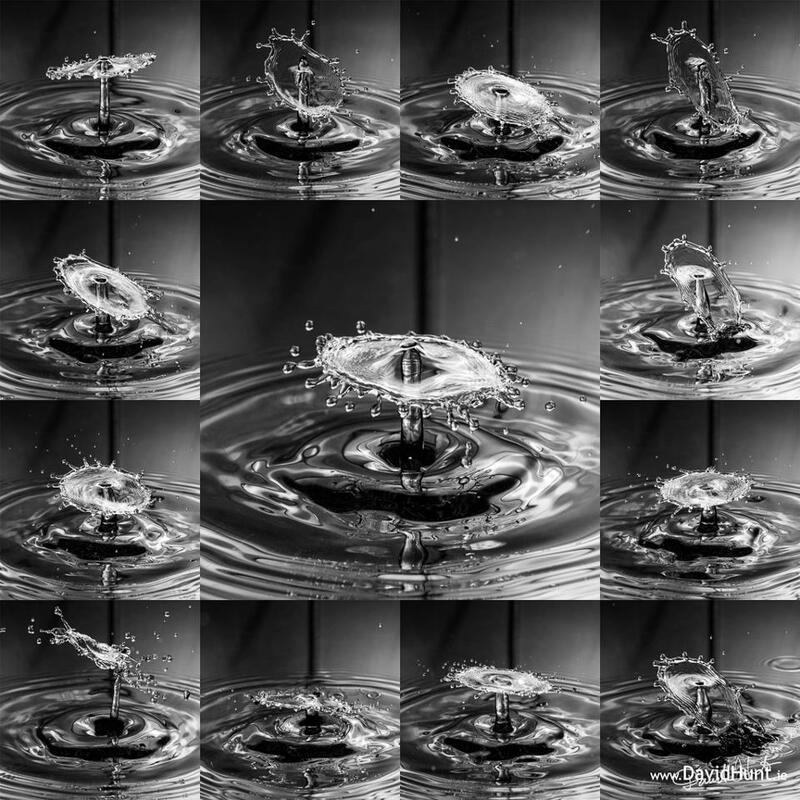 So one can take one photograph of each of several successive drops, at different delays between valve opening, and shutter triggering- and hope that the valve opening time is reasonably repeatable..
successive images of the one event, at closely spaced time intervals, is rather a different problem. I remember a fellow postgraduate student, about 1972, having to build his own spark camera, to illuminate the event at intervals of about 10 microseconds, with a sequence of, I think, 7 discharges across spark gaps!! There was no funding for any bought-in equipment. Do you know, that rings a bell. I think you’re right, and the pictures were from MIT; thank you! I believe similar technique is used by Ramesh Raskar’s group @ MIT to create slow motion video of light in motion, but at trillion frames per second! See Visualizing Photons in Motion and his TED talk. I wonder what is possible with the Pi! 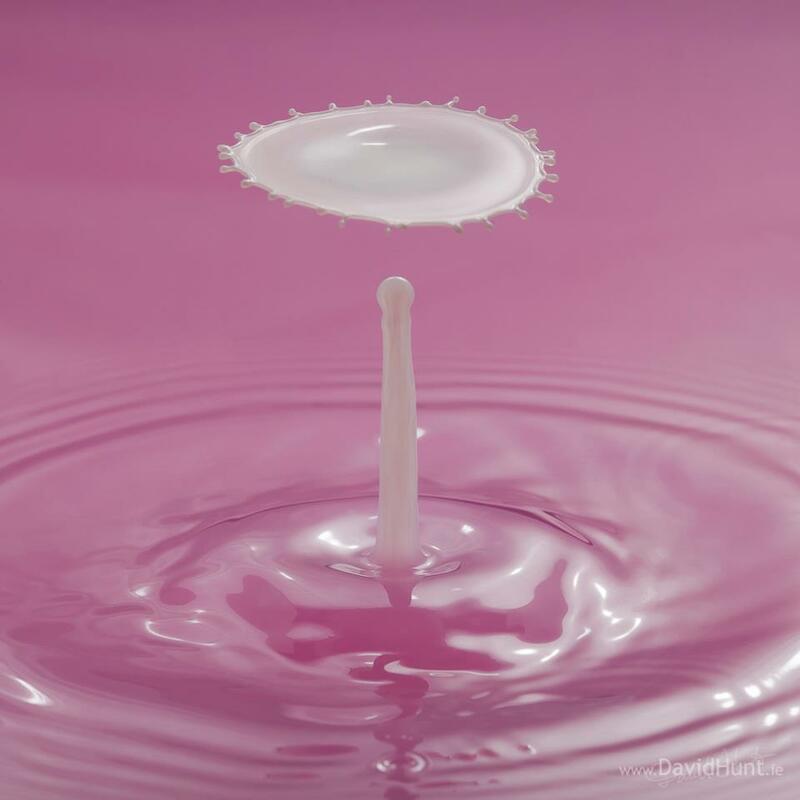 Well done with the droplet photography! Please make a tutorial of some sort. At least, what was the python programming ? That’s the tutorial, its the link in the description. Could be good for the MagPi too. David, those are amazing photographs… may have to build one of these setups m’self. @Dave – Brilliant photos! Any plans to hook up two or more cameras for 3D or rotating views? I love the fact that people ‘choose’ to use the Raspberry Pi….this could have been done any number of ways, but he chose to use the Pi :) Marv! I did this photography back in the 70’s with a film camera by setting up a microphone to capture the sound of the drop on the water and via an audio amplifier it triggered my camera flash. It was all done in the dark and you could adjust the timing of the flash based on how far the microphone was placed from where the drop splashed on the surface of the liquid. I opened the shutter, dropped the liquid and after the flash I closed the shutter. I had to get film developed to see the results but it was not to difficult to set up from parts in my junk box. Awesome images, simply Awesome images!